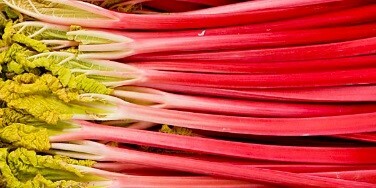 With Valentines vastly approaching it is an ideal opportunity to use the sultry deep reds of the Cara blood oranges and the neon pink of the forced Worcester / Yorkshire rhubarb. British Bramley apples are in good supply along with the Belgium conference pears. Berries including strawberries and raspberries have tightened up due to the cold nights in Spain and Morocco and there has been a genuine shortage of redcurrants but with the new season, Dutch around the corner prices should ease. Citrus is generally fine, new season Spanish lemons and oranges together with lovely Nardicots (easy peelers) and ruby and marsh grapefruits are of great quality. Melons mainly from Brazil are excellent with no quality concerns to include Honeydew, Watermelon, Galia and Cantaloupe. Locally grown Cavelo Nero, red and green Kale together with Purple Sprouting, Savoy and Red Cabbage are plentiful and of top quality. Spanish Calabrese, French Cauliflower and Portuguese Hispi Cabbage are all fine. English Leeks, Jerusalem Artichokes and Chantenay Carrots are plentiful too along with lovely Celeriac – ones to try! Spanish season is up and running and not experiencing the weather problems of last year. We have great quality products to include Celery, Lettuce varieties, Cucumber, Peppers and all Tomato types. Beautiful quality salad bags to include Crispy Salad, Baby leaf Rocket and Baby Spinach are a must at the moment. 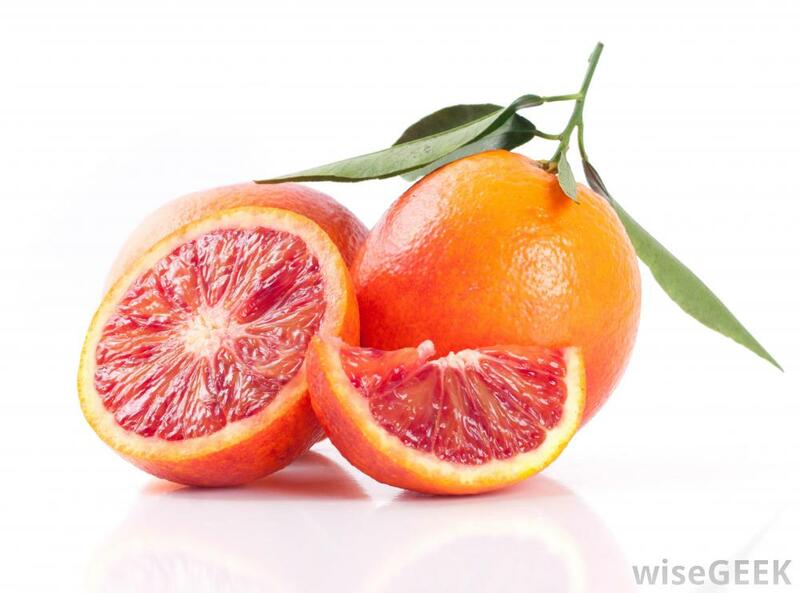 Rather a gruesome name for this wonderfully sweet and beautifully coloured citrus fruit. This amazing flesh is brilliantly dark pink, maroon or even dark blood red hence the name. The red colour is a result of anthocyanin which develops from the peel into the segments as the fruit ripens during the warm days tempered with the cooler nights. 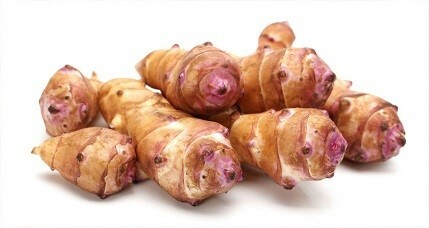 A lumpy brown-skinned tuber that resembles ginger root. They can be treated similar to potatoes – roasted, sautéed, dipped in batter or even as a fantastic soup! They are looking extremely good at the moment and the price is good too. Produced in the dark forcing sheds the neon pink rhubarb is available now. A British product which is much welcomed at this time of year is ‘forced’ by moving young plants from the fields into dark warm sheds. Heat and moisture trick the plants into thinking spring has arrived as it stretches up in search of light. 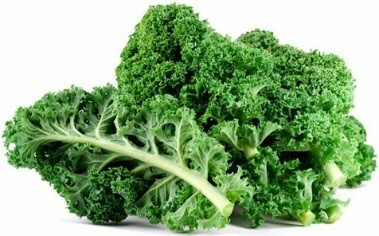 An iron packed superfood with a super taste is available in both red and green variety from our local growers. This doughty vegetable was heavily promoted during the Second World War ‘dig for victory’ campaign not only for its nutritious value but also for the fact that it can be grown all year round. Rowlands and Co are pleased to announce the collaboration between ourselves and Ian Cornall of Barkworths Seafood based in the market hall Shrewsbury as our supplier of wet fish. He directly sources fresh fish from all around the coastline meaning the quality is second to none. You do not need to set up a separate account as it will be invoiced and delivered via Rowlands. All you need to do is contact Ian on 01743 352138 or his mobile 07947478445 place your order and we will do the rest. For more information and for any queries please contact the Rowlands Sales Office on 01743 462244 or Tony on 07792162122.